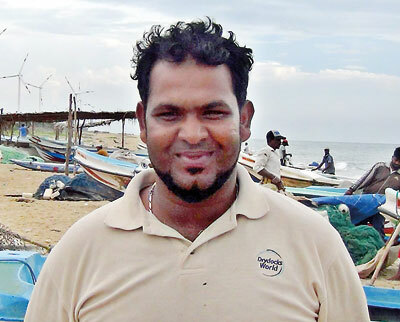 Fishermen in Manpuriya, Puttalam, allege that a large number of their fishing nets were destroyed by a vessel bringing coal to the Lakvijaya Coal Power Plant in Norochcholai this week. Fishermen further said this was not the first time a ship transporting coal to the power plant destroyed their nets. 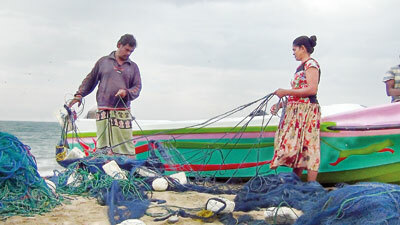 The Manpuriya beach is the closest beach to the Norochcholai plant that fishermen operate from. According to W. Nuwan Dinesh Kumara, President of the Manpuriya St. Anthony’s Rural Fisheries Association, ships bringing coal to the power plant have been a constant headache for fishermen for years. The main issue is that coal ships arrive at times different to those at which they are supposed to, while taking approach paths different to the ones they are supposed to take. As it takes time for the fishermen to haul their nets back to shore, the unexpected arrival of a ship often doesn’t leave them sufficient time for evasive action. The only option they have is to race towards the shore in their boats. 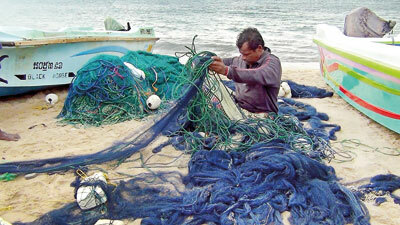 As a result, the nets are ripped apart when the coal vessels go over them. In the latest such incident, the Navy had informed the fishermen that a coal vessel would arrive by 9 pm on Jan. 10. Therefore, the fishermen had refrained from casting their nets during this time. However, the vessel had suddenly turned up at 5.30 am the following day and headed directly along the path the fishermen had cast their nets. The only option to the fishermen was to leave the nets behind and escape in their boats, away from the path of the ship, which would otherwise have rammed their fishing boats too, they claim. With the loss of their nets, the fishermen have now lost their only means of livelihood and they and their families face the prospect of going hungry. When contacted, Lakvijaya Plant Manager Indrasiri Gallage said he had not been informed of the incident, and pledged to look into the matter.